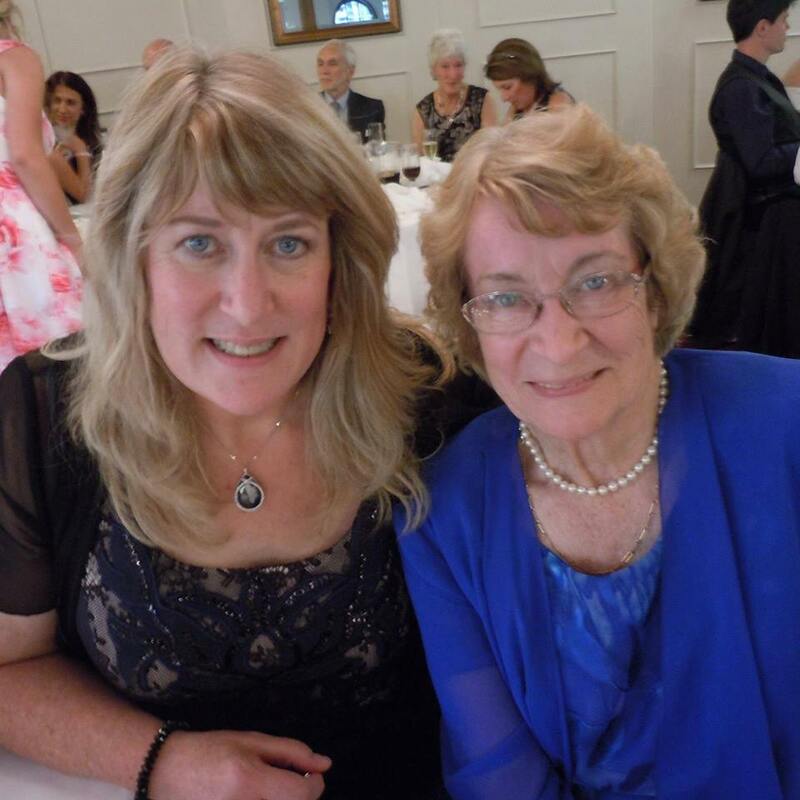 Mum passed away early last year and I had such a hard time being able to concentrate and keep writing. I had to accept that grief and pain was now a part of my life. Being a writer I researched other’s experiences and what was best to do. Basically, accept the excruciating pain is real and be kind to yourself. Exercise and keep going with the things you love. I went to plant nurseries and spent time with my supportive friends. I did allow myself time away from writing during the first mind-numbing stage but then a desire to move forward and let grief be there rose to the surface. I had a story that I’d been working on for a while and guess what? The heroine was returning home to where she lived until she was only six years old when her mother passed. I’m fifty-six, a full half-century older but I felt like a six-year-old, wanting my mother. So I used what I was feeling to help me write this woman’s experience as she discovers her mother’s unchanged room. I also began looking at the story as a whole and realized I’d been tinkering with a much deeper experience, which I now had personal knowledge of, so I decided to write a synopsis to see how the emotional growth of this character could go. I had in my grief a lethargy that was so difficult to get past. I wanted to feel energized and in my past experience professional development gave that to me. I wanted to understand synopsis writing better so I bought a book on the subject by my rtgblog predecessor, and friend, Michelle Somers and I joined her online course through the Romance Writers of Australia. That opened the place in me where enthusiasm lies. I was motivated to explore the story I was creating and adding to it. Lastly, I took an emotional hit on this first Christmas without mum. I wrote a blog about setting goals which helped but who really got me going again this year was Anne Gracie. A dear author and writing teacher, Anne put out a call on the RWAus Facebook group to say she was doing Dorothea Brande’s method of getting going with writing and did anyone want to join her. I signed on and started writing for fifteen minutes each morning on waking. Only a quick trip to the loo is allowed. You’re supposed to be in a half sleepy state. This is to connect your writing arm to the subconscious mind where creativity resides. Also, you make an appointment with yourself to write at a certain time later in the day. It has been great and I’m feeling like my old self again when writing. Of course, I still miss Mum so much. Some days are very hard but writing is back and I feel like life is okay. Thank you for sharing your personal experience in working through grief, Dora. I'm so sorry for your loss. I know the strategies you used to get through and continue to write will help others. I bought Michelle Somers book on synopsis writing and highly recommend it as well. Welcome to Romancing the Genres! Dora, if your mom was anything like mine, she loves to be remembered but wants you to continue doing what you enjoy. I lost my mom 28 years ago, but I remember every day that she told me I could do anything I set my mind to and that if I wanted to be a writer, I would be. I just regret she never saw any of my writing be published. Welcome to Romancing the Genres! Dora, welcome to Romancing The Genres! I'm approaching the 16th anniversary of my mom's death, the 20th of my dad's and the 14th of my younger brother. They all died in March so I certainly know the 'whammy' feeling of those first years...and even later years when the energy drops and the days aren't as bright. So glad you learned the #1 lesson which is to take care of yourself! And give yourself time. There are still moments when I think I should call my mom or dad about something even after all this time. And thank you for sharing your journey with us. Dora, thanks for your beautiful post. I lost my mom about 6 years ago, and still miss her terribly. You are honoring her by using your grief to write your book. Hang in there. My heart goes out to you as you continue to work through your grief. How wonderful that you could consciously use your experience to deepen your character's journey. I had a similar experience four years ago when my father died in early December. I was writing the third book in a series and had just begun the chapter where the protagonist is called home to care for her dying father. That week, while on a writer's retreat, I received a call that my father was admitted to the hospital with pneumonia and might not make it. I did rush to be with him and two weeks later he died. I could not return to that book for an entire year. I tried several times, but my mind was not ready to go there. Even though my heroine's experience with her father and my personal experience were different, the grief was still the same. Grief is different for every person and it sounds like you've ben able to identify what works for you. That is huge! I do believe that these personal experiences deepen our own experience of the world in many unknown ways. As writer's that also can provide a well of emotion that we can share with our characters. You are very fortunate to have found that and be able to use it. May your memories continue to hold you close to your father. No that you are honoring him every time you share things about him, as well as every time you use your grief, happiness, strength from him in creating a character's journey. Blessings and light to you and all who knew him. Thank you,Sarah, for your kind and supportive welcome. Thank you for sharing your story with me and your kind words. Thank you Lynn for your support. Missing our Mum seems to be something we learn to live with but it never goes away. Hugs. Hi Maggie. I'm sorry for your loss. As you said how we deal with grief is different for each of us. Thanks for sharing your experience with me. Hugs. Welcome, Dora! I'm truly sorry for your loss. the picture of you and your mum is lovely. She must have been very proud of you. Hang on to the memories, and I'm glad you are writing again.